George Washington University School of Law, L.L.M. Indian Law Society's Law College, B.S.L., L.L.B. 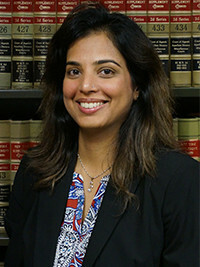 ANU BHARGAVA joined MDAF as an associate in 2018. Prior to joining the firm, her practice focused on civil litigation with an emphasis on the defense of complex liability claims, including property and causalty litigation, automobile liability, product liability and insurance coverage litigation. At MDAF, Ms. Bhargava specializes in defending premises liability, Labor Law, and general liability matters. She also handles municipal liability matters, motor vehicle accidents and property damage cases.